Premier Personal Care, Inc. is your source for high-quality in-home care. We are your source for high-quality in-home care. Whether you are looking for care for yourself or a loved one, we are committed to providing professional, non-medical care. We have been serving residents throughout the Philadelphia and New Jersey area since 2008, and we have dozens of experienced caregivers who always place the needs of our clients before all else. Our services are available for family caretakers who need additional assistance in providing non-medical care services to their loved ones. Most importantly, our compassionate staff provides all services in a caring atmosphere. We offer these services as hourly, live-in, short-term, or long-term solutions. We're celebrating 10 years! Premier Personal Care has being serving local residents in need for a decade, offering in-home care such as personal hygiene assistance, meal preparation, eating, cleanup, diet monitoring, pet care assistance, mobility assistance, and more. These services are available for family caretakers who need additional assistance in providing non-medical care services to their loved ones. How can we help you? 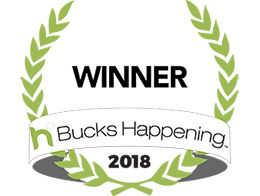 We are thrilled to have WON "Best Senior Care Services" in Bucks County on Bucks Happening's "Happening List." A BIG THANK YOU to all of our clients & friends who voted for us. 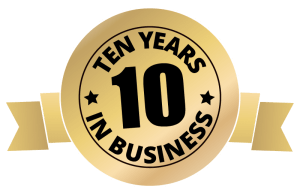 We are so honored to have served our local communities for 10 years and look forward to many more! Ensure quality care while your loved one continues to live in their own home instead of a care facility. Keep your elderly loved one comfortable and independent as they continue enjoying their daily activities. Get the reliable and compassionate in-home care while you recover from a debilitating illness or injury.